Social media marketing is bigger than ever. You basically have to be doing it. 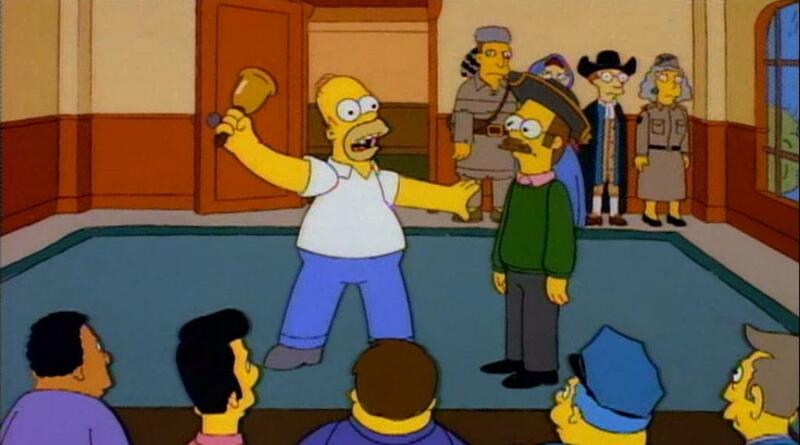 Trouble is, that means it’s competitive. To make a dent, you need a great strategy. We’ve found some tools that’ll automate steps along the way. If you’re like me, you want to outsource as much as you can to machines. Machines are the future – until the alien wasp army arrives. These tools will help you build slammin’ social media profiles and start bringing in customers. Sweet, sweet customers. They’ll help you find content, engage influencers, and monitor social media. HubSpot says the keys are a great “About” page, an excellent cover picture, and proper use of Facebook Insights. All you need for Twitter is a handle, some nice images, and the right voice. That will lay the groundwork to build a strong brand there. Social Media Examiner posted this step-by-step guide to set up a LinkedIn company page. It explains how to use LinkedIn analytics and showcase pages to shine on the professional network. Hootsuite calls Instagram a “critically important social network.” Their guide to creating an account explains everything you need to know to get started. Plus, they recommend some fun photo-editing apps. Now that you’re all set up, let’s look at those tools. You won’t make much of a dent without a decent following. You need people to share and engage with your content. That’s how you build brand awareness. The Discoverly Chrome extension will help with that last point. When you view a person’s social media or email profile, it’ll show you their other accounts. Suppose you follow someone on Twitter. Hover over the Discoverly icon, and you’ll see all their other public social networks. Use it to build stronger connections with customers, clients, and colleagues. Follow your Twitter customers on their LinkedIn and Google+ profiles. When they follow back, you’ve turned a single social user into three. Once you’ve found your followers, you need to make them happy. This means finding and sharing excellent content. You should also share other people’s work. BuzzSumo makes it easy to find the best content around. BuzzSumo is a simple tool for researching your industry. Search for keywords and get a list of the most popular content that day, week, month, etc. Share and comment on these posts to interact with other writers, and cement yourself as a voice in your industry. Competitions get social media users engaged. Plus, they’re dead simple. 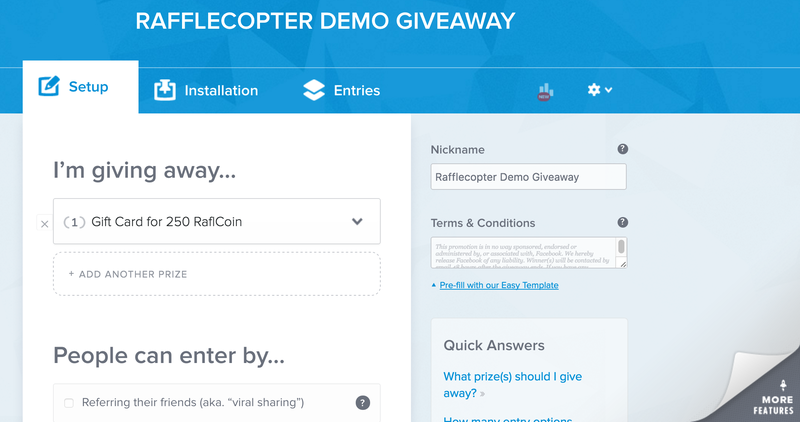 Rafflecopter calls itself “the world’s easiest way to run a giveaway.” In three minutes, you can run a contest across multiple social platforms. It lets you add multiple ways to enter the contest, from following you on Twitter to signing up for your newsletter. You can assign different point values to different entry options. It’s a quick and easy way to entertain users, and collect lead information. All for free! To make your message heard, find the people with the loudest voices. Influencers are social media users with large followings that listen to them. They help build brand awareness and direct people to your company. Plus, they make you look good. The key to influencer marketing is finding the right partners. That’s where our next tool comes in handy. 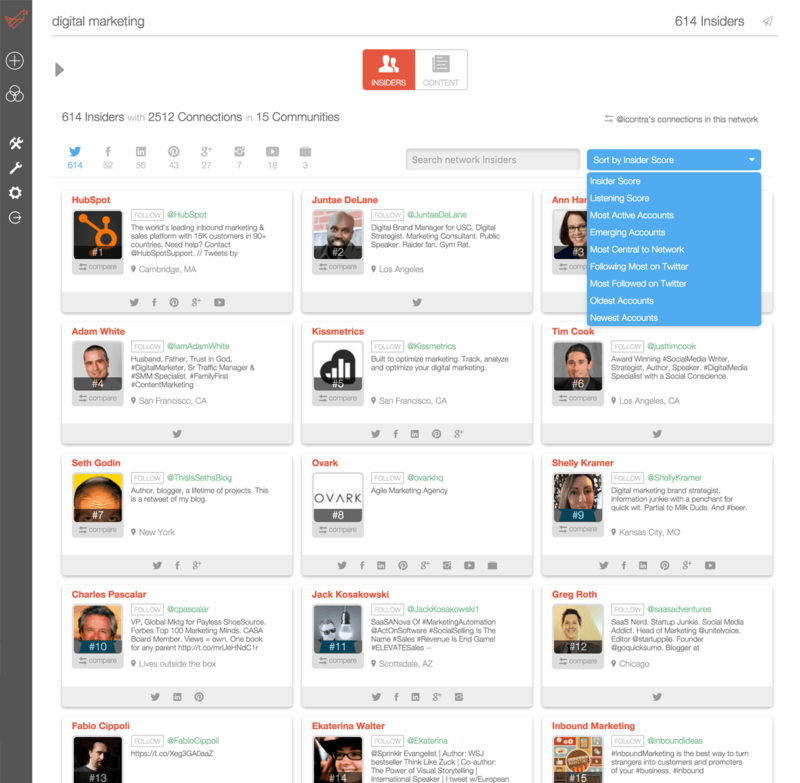 Little Bird is a great tool for building influencer lists by topic. You feed it a few keywords, and it suggests powerful people to reach out to. It uses advanced data to help you find the perfect influencer. You can pinpoint specific geographic locations and languages. You can also find two (or more) networks with similar interests, and influencers that appeal to both. If influencer marketing is your main mission, it’s a great tool. To learn more, we wrote a whole book about influencer marketing on social media. Once you’re rolling on social media, you’ll need to monitor your progress. Social listening will let you know what’s being said about you, good and bad. Plus, you’ll see whether your campaigns are making an impact. Hootsuite is a full social media suite with a little to offer for every area of social marketing. 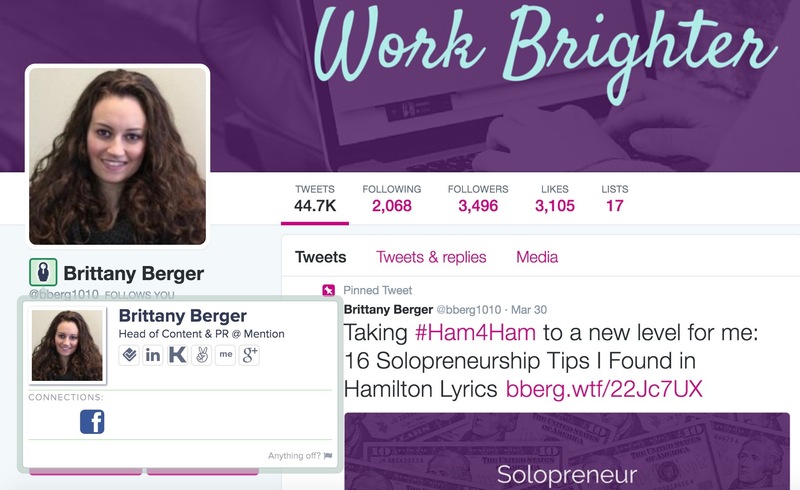 You can schedule posts, curate streams based on Twitter lists or keywords, and collect analytics. It connects with over 35 platforms, so you can monitor all of social media from one place. It’s also designed to be used in teams. This makes it perfect for sharing social media accounts without sharing passwords, and for effective customer service. But what if you want to monitor more than just social media? Want to find new content ideas, reach out to influencers, monitor competitors, and grow your brand? A designated Twitter dashboard to monitor and improve your account’s performance. Join Facebook, Twitter, and Instagram conversations directly from the app. Monitor and analyze competitors’ social media strategies. Short and sweet. There are a million-and-one ways to market on social media, but these six tools will make a huge difference. Pick your favorite, or use all of them together. Make them part of your daily social routine. You’ll start building connections and finding customers in no time. What are we missing? Let us know in the comments.